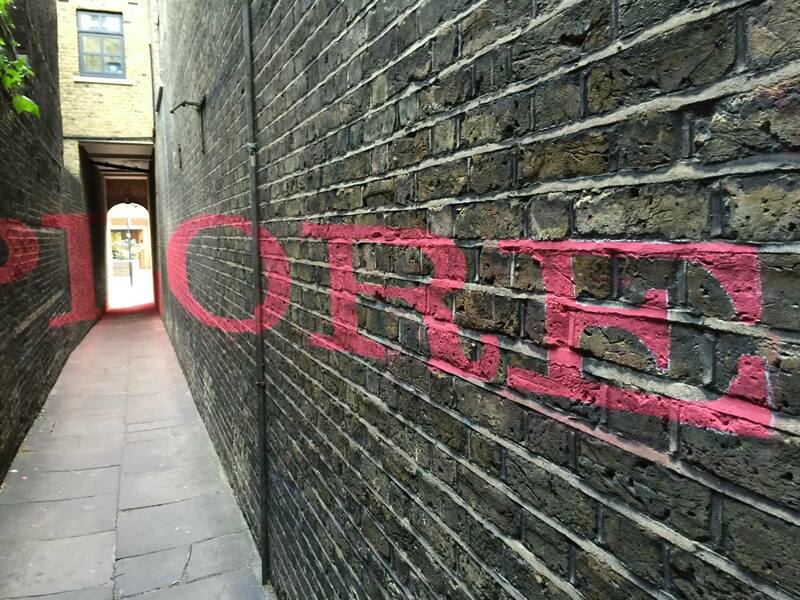 3D anamorphic art produced for MonoType as part of Clerkenwell Design Week in London. 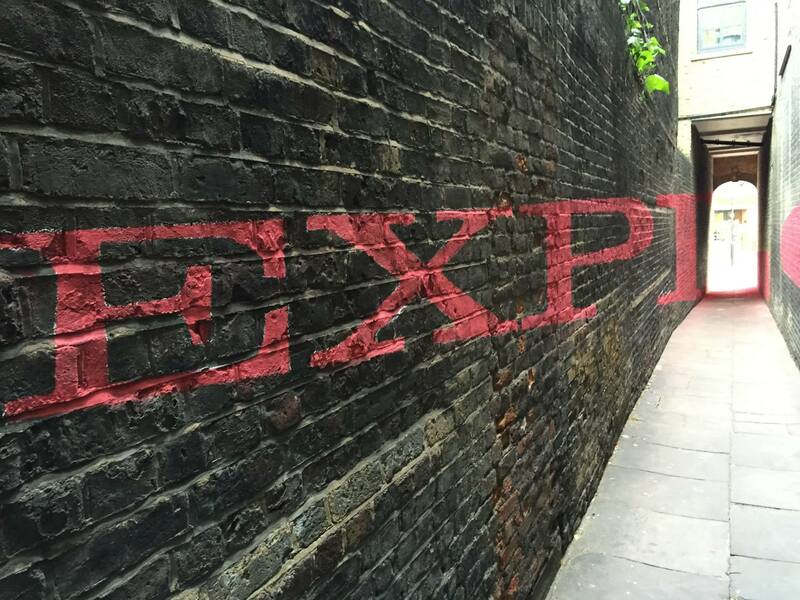 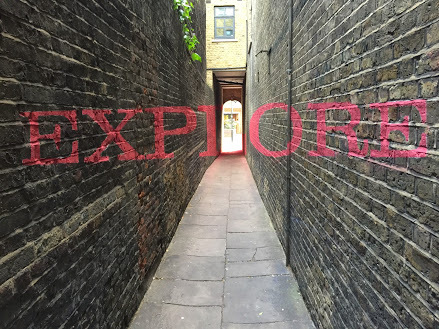 The objective was to make the newly designed font called “Explore” appear to float across the alley when viewed through a phone camera from the correct standing position. 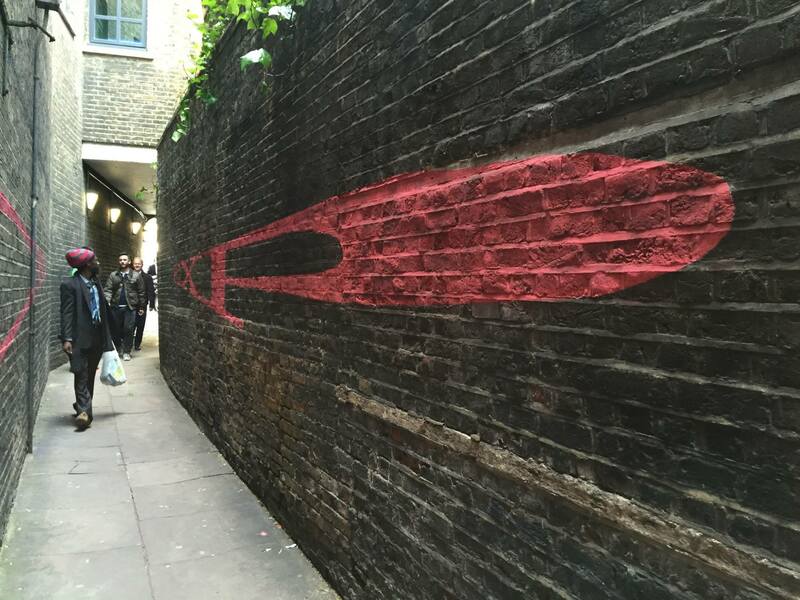 The temporary artwork was a success of the visitors to design week as well as the passing public who used the alley was a short cut to the station. 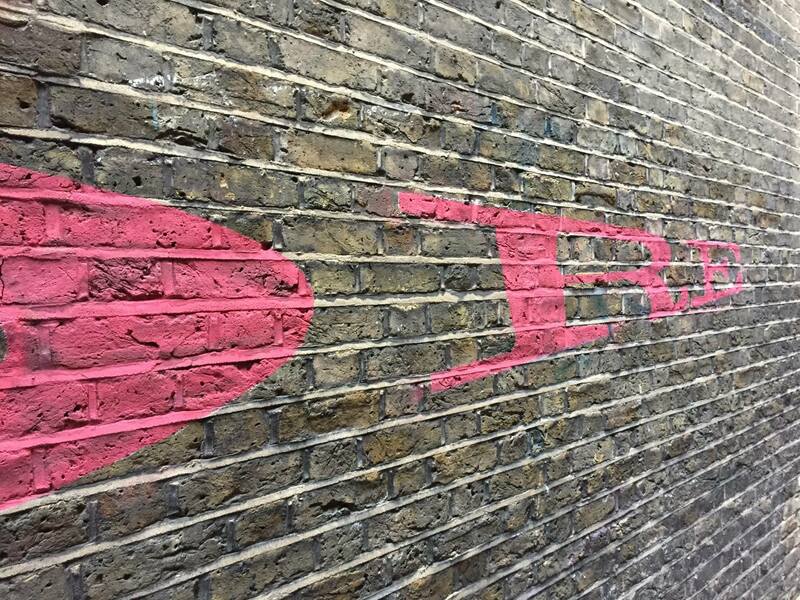 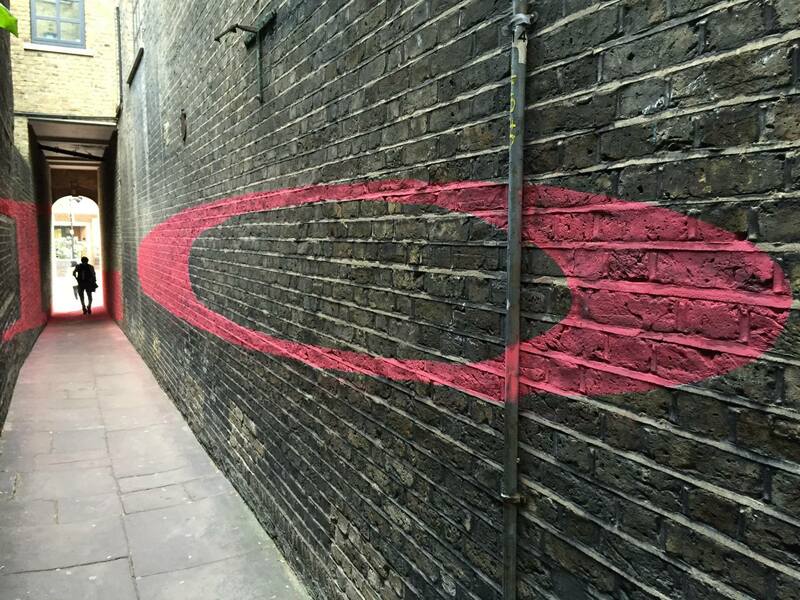 After the Clerkenwell Design Week, we cleaned away the artwork leaving no trace on the historic alley way.